PULLMAN, Wash. – Almost every calorie that we eat at one time went through the veins of a plant. If a plant’s circulatory system could be rejiggered to make more nutrients available – through bigger seeds or sweeter tomatoes – the world’s farmers could feed more people. Ask Dr. Universe: Why are plants green? PUYALLUP, Wash. – A lush tropical rainforest, a field of sunflowers, a garden in your neighborhood. Our Earth is home to all kinds of plant life. From trees to catnip, there are thousands of different species of plants. Most of these plants are green, but not all of them. 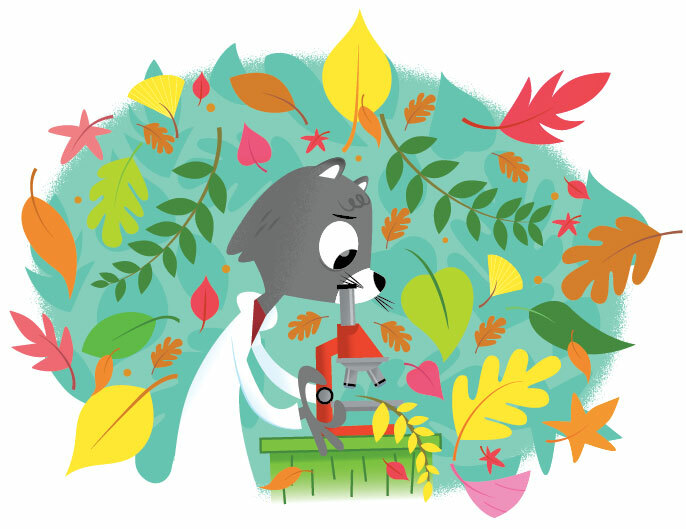 Ask Dr. Universe: Why do leaves change colors? PULLMAN, Wash. – Ever since I was a kitten, I’ve loved picking up big maple leaves in the fall. I’d take them home, put them under a piece of paper and rub the side of a crayon over the top. It makes a great print of the leaf. VANCOUVER, Wash. – Washington State University scientists Stephen Henderson and Nikolay Strigul have developed a computer model that uses photographs to recreate the complex geometry of coastal plants. Ask Dr. Universe: Why don’t plants get sunburns? PULLMAN, Wash. – That’s a great observation. For as much time as plants spend outside in the sun, we really don’t see too many with a sunburn. PULLMAN, Wash. – A Washington State University biologist has found what he calls “very strong support” for an 86-year-old hypothesis about how nutrients move through plants. His two-decade analysis of the phenomenon has resulted in a suite of techniques that can ultimately be used to fight plant diseases and make crops more efficient.